“Culture eats strategy for breakfast” – it’s a quote that’s bandied around in management books, but according to risk managers, it rings true. Company culture is a major hurdle in driving innovation around risk, say senior risk executives in the financial sector. Nearly two thirds of risk execs believe culture is one of the biggest challenges to risk operations, impacting the ability to drive more strategic business decisions, new research from Genpact and the European Risk Management Council has found. Almost half of risk execs surveyed believe culture or mindset not supporting change is the biggest challenge to piloting new technology for the strategic risk function. Yet, nearly a third are completely open to experimenting with new ideas or technology – underscoring the “critical need” to overcome culture barriers to encourage innovation, which is critical for financial institutions to succeed in a competitive market. Alessandro Vecci, European risk and regulatory consulting lead at Genpact, told Corporate Risk and Insurance that risk managers are having to battle internally against those more resistant to change. “Beyond the typical challenges around legacy infrastructure, data availability and quality, culture was definitely one of the constraints that people indicated was having an impact in terms of the ability of the organization to drive innovation,” Vecci said. Nearly three quarters of risk execs said they believe strategic risk management (SRM) will be a key business enabler within three years. Yet, 76% also said that risk management reports only partially deliver against strategic business objectives, underscoring that the notion that challenges remain to achieve the vision of driving business strategy. 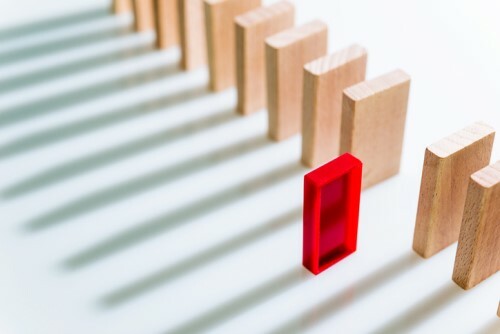 “It was a surprise almost for us that although generally the majority of people responded that they see technology as a big enabler for the evolution of strategic risk management, at the same time they indicated that there is a sense of people being quite resilient to change and the use and experimentation of new technologies and new ideas,” Vecci said. According to Vecci, financial institutions must drive a culture of innovation and experimentation that encourages talent to be agile and flexible to work across different risk areas. “A well-integrated team is critical to increase the strategic value of the risk function and drive competitive growth,” he said. The report also found that the role of the chief risk officer (CRO) is changing. Critical and analytical thinking is the most important skill needed in the next three years, according to 69% of respondents, even more so than basic risk management expertise which came in at 61%. Other important skills cited included data analytics, technology, and change management.